As a Premier Australia Travel Agent Rosie can accommodate all your Australia travel needs. A big country (geographically the same size as the US) with huge diversity and unique destinations. Vast Outback deserts, tropical rainforest, beautiful islands, 17 World Heritage listed sites including the incomparable Great Barrier Reef, sophisticated cities and friendly easy going people. This is naturally the country that Rosie shines in! Being born and raised in Australia on an Outback sheep station and having criss crossed the country more times than she can remember, Rosie’s knowledge is unparalleled. 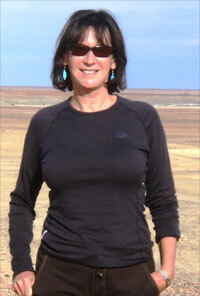 Besides being a Premier Australia Travel Agent she is a specialist in each State and Territory. With a country as large as Australia and the limited time most people have to travel, Rosie’s expertise in narrowing down and fine tuning the areas and interests most suited to you becomes crucial. Enjoy Melbourne’s melting pot of cultures reflected in great restaurants, art, fashion,shopping and theatre. With a Premier Australia Travel Agent, your Victoria travel experience will be one to remember forever. Sand board, 4WD and walk through the Pinnacles Desert. Tour Wave Rock. Having an experienced Australia Travel Agent like Rosie will assure your holiday through The Southwest is full of adventure. Does this pique your interest? CONTACT Australia Travel Agent Rosie to piece this all together and to offer many more suggestions.